I was recently selected to receive tickets to have two items appraised on Antiques Roadshow. The show was filming in Sarasota at the Ringling Museum. 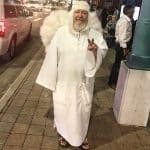 This was a perfect excuse for an overnight trip – I had never been to Sarasota so I decided to explore the area and make it an overnight trip. I was excited to see what the city had to offer! Located on the west coast of Florida, Sarasota is easily accessible by car or plane. 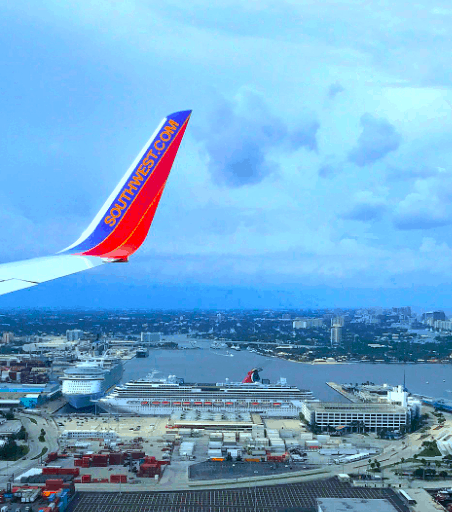 Sarasota-Bradenton International Airport has flights from cities such as Atlanta, Newark NJ and Toronto and is located about 7 miles north of Sarasota beaches. I-75 and I-275 allow easy automobile access from St. Petersburg, Tampa and Naples. With an average temperature of 73 degrees, it’s a great location for family, couples or even solo visits. In the 30 hours I spent there, I found 5 things you shouldn’t miss while you are in the area. Originally the home of John and Mable Ringling of Ringling Bros and Barnum & Bailey Circus fame, The Ringling Museum is located on a massive 66-acre campus. Home to 4 museums, gardens, the Historic Asolo Theater and an educational center it’s a wonderful place to spend a day or two. I had heard great things about The Ringling (as they call themselves) so couldn’t wait to get there. I was lucky that ticket holders for The Roadshow (as I call them) got to explore the grounds and museums for free that day. The admission price is very reasonable however because there is so much to do there. If you’re there on a Thursday head over between 5pm and 8pm and the price to get in the circus and art museums is only $5. On Mondays, entrance to the art museum is FREE. The four museums on site are the Circus Museum, the Circus Museum Tibbals Learning Center, the Museum of Art and Ca’ d’Zan. The cost to enter the first three museums is included in the price of your ticket. 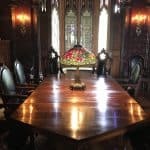 To do a tour of Ca’ d’Zan, which is the Ringling’s 56 room mansion, is an additional cost. The items in circus museums were fascinating. 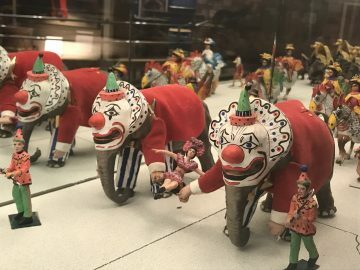 There are old circus and train cars used by the circus at various periods, costumes, historical posters and miniature carvings of circus life. 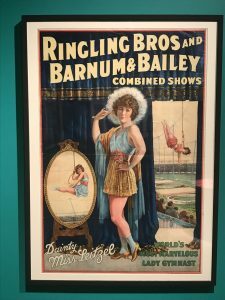 I’m not much of a circus fan (I have a slight fear of clowns) but I was still very interested in learning how they moved what were effectively small cities from place to place in times where it wasn’t very easy to do such a thing. The Tibbals Learning Center had a miniature circus model that had to have taken me 15 minutes to go through. Built by Howard C. Tibbals, it replicates circus life in the 1920’s and was so fascinating. There was also a section where you could try to walk a ‘tightrope’, watch videos of old performances and try to balance yourself on top of model of a trick horse. Ca’ d’Zan was opulence at its highest. I didn’t get a tour of the house because that is part of where appraisals for Antiques Roadshow was happening but I did get to view the kitchen, ceiling murals and the wall decor. I will be returning to do the docent tour that they have. 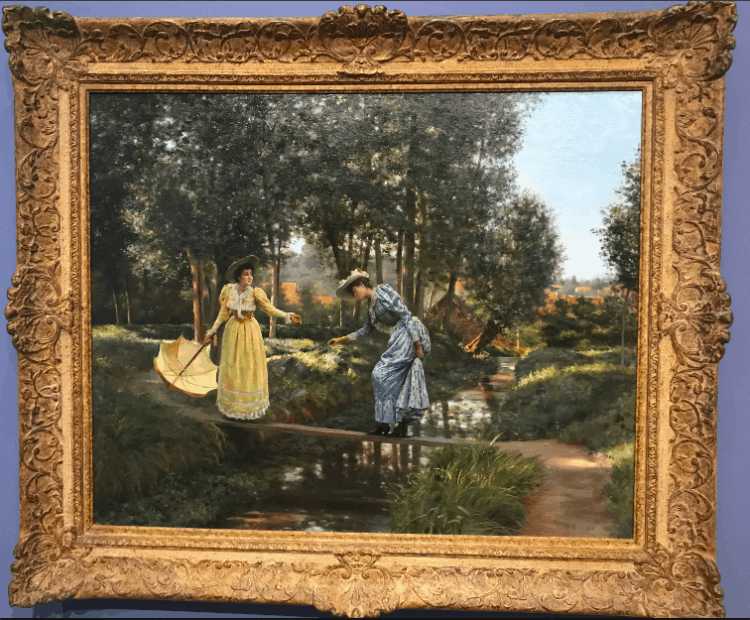 The Museum of Art originally began because of the Ringling’s love of European art. John Ringling had the first museum built on site in the 1920’s to house their collection. 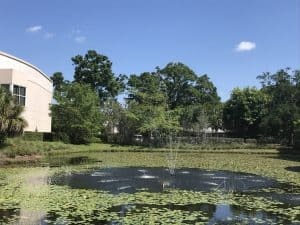 Now the State Art Museum of Florida, the Museum of Art has both permanent exhibits and traveling exhibits and includes Asian art, contemporary art and a learning center. If you need a break between all the museums be sure to tour the grounds. 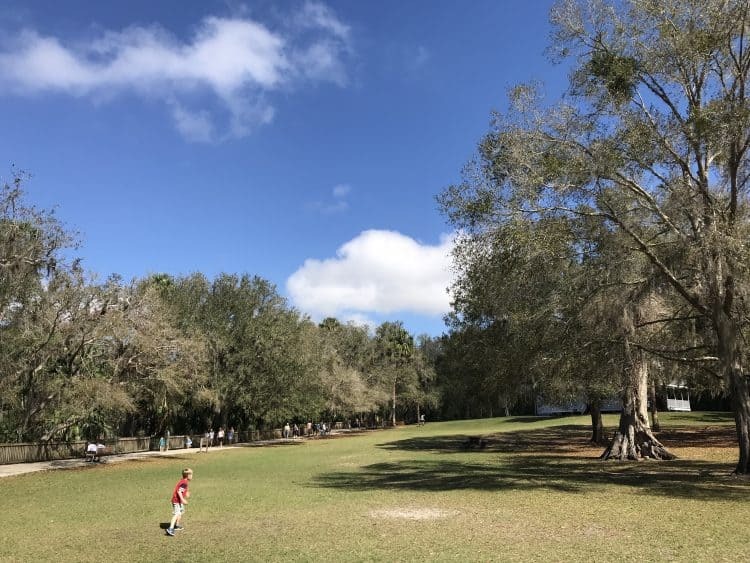 The Bayfront Gardens include Mable Ringling’s rose garden, quiet areas where you can sketch or read a book, the stone statues of the Dwarf Garden, huge banyan trees that must be hundreds of years old and even a playground for little ones to run some energy off. There are also a couple of eating places on the grounds. Which makes it a perfect way to spend the day. Once the home of William and Marie Selby, 15 acres of land in Sarasota is dedicated to the Marie Selby Botanical Gardens. The Selbys were nature lovers and Marie (who was the first woman to cross the USA in a car!) planted many of the plants in the gardens, including the bamboo that’s on Sarasota Bay. When Marie passed away about 15 years after Bill, she left the estate to the Sarasota community to promote nature. While I was there I learned a new word – epiphytic. 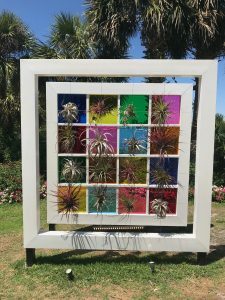 Having lived in Florida for the majority of my life I had seen epiphytic plants such as air plants and Spanish moss. I just never knew the word. Well epiphytic means that the plant grows on the surface of another plant and gets it food from the air and water. One of the great things about Selby Gardens is the educational value you gain from going. 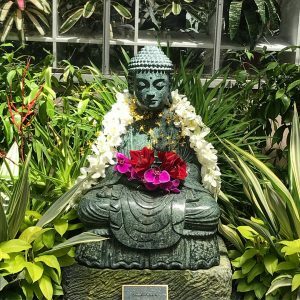 There’s an orchid program (did you know some orchids are epiphytic? ), bromeliad program, plants from the rainforest, plants from desserts and even bonsai. The grounds are so beautiful and large it took me about 2.5 hours to look around and I could have spent even more time if I had wanted. In addition to walking through the gardens and stopping to sit and relax while looking at Sarasota Bay, I also stopped at the cafe for a snack. The cafe is located in the Selby’s house which is much more modest than one would expect of people who were wealthy. The cafe had indoor and outdoor seating – I chose to sit under a huge banyan tree and watched everyone enjoying the expansive lawn. The day I was there they had an Andy Warhol exhibit on his plant paintings and they were setting up for Shakespeare In The Garden. There’s also a Garden Music Series and wine dinners on site. 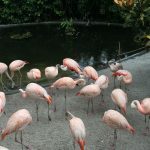 Be sure to check out the Selby Gardens events calendar while you’re planning your trip. You might be able to take a class on yoga, watercolors or photography. The white sand beaches of the west coast of Florida are always a must see. Lido Beach is the beach closest to Sarasota and doesn’t disappoint. While some portions of the beaches are closed off for hotels and homes, the public beach is very clean and has parking both in lots and on the street. If you get there at the right time you might even be able to find some great shells. One thing I always try to do when traveling is visit a local brewery. 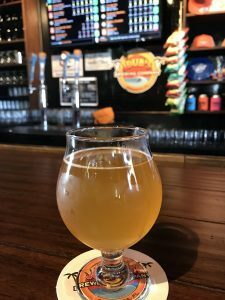 Breweries in Florida are still a bit of a new thing because in years past the laws of the state hindered small breweries. Those laws have changed which has made the brewery industry explode in the state. There are 3 breweries in Sarasota: Big Top Brewing, Calusa Brewing and JDubs Brewing. Note that there are quite a few bars in the area to go have some crafts beers; I just enjoy a brewery since they are the actual producers of the beer. I chose to go to JDubs since it was the one closest to where I was staying. While the beer was great the atmosphere left something to be desired. I enjoy breweries not only because they’re child and pet friendly but also because it’s a great place to get local flavor and to learn more about the area. The night I went to JDubs the bartender, while not rude, wasn’t friendly and also stayed at the end of the bar talking to her friends. It was a little disappointing but the beer made up for it. I had a great Orange IPA that was refreshing. If you’re driving or riding the train home, bring or buy an empty growler and get it filled. When you get home you’ll have a memory of you trip to enjoy. Ask if the brewery does flights. A flight is four or five 5oz samples so you can have a little taste of what the brewery has on tap for the day. 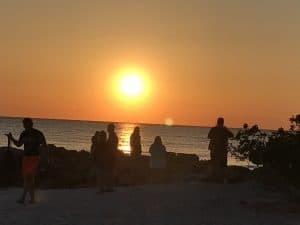 Sunsets on the west coast of Florida are a sight not to be missed. The skies can look like they’re on fire and it’s an event in some towns. I stopped and had dinner at the tiki bar at Lido Beach Resort which is right on the beach. The tiki bar offers those classic beach drinks like sangria and or mojitos, but also has food that they serve until 7pm (right before sunset during the spring and summer). I had a chicken quesadilla, which was surprisingly good for a small bar. After I ate I walked out onto their beach to watch the sunset. Their beach is private and on the north side has a rock jetty where people were fishing. Others were sitting in the sand and enjoying the sun as it went down. It was relaxing and just what I needed to end the day. 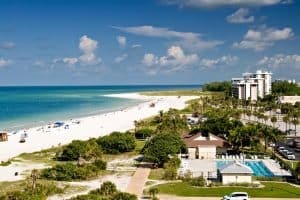 Have you ever visited Sarasota? What was your favorite part about the city? I love manatees. There’s something about the gentle giants that really speaks to me. 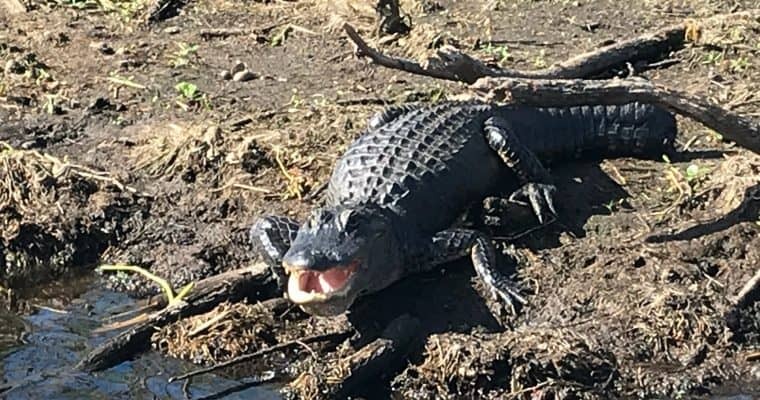 Growing up in Florida I always heard about how they would get killed by speeding boats (and they still do) so, as a kid, I always wanted to see them up close in case they went into extinction. Where I live now, I periodically will get to see a manatee in the wild during the winter which was fine. Then I heard about Blue Spring State Park – I found out about this park by following Save the Manatees on Instagram. In January they were posting daily about seeing 300-400 manatees at Blue Spring State Park. I was determined to visit and see all those manatees! Blue Spring State Park is a Florida State Park located in Orange City, FL which is right outside of DeLand. Located in Volusia County and not far from Daytona and Orlando, it’s an easy trip from many locations. We chose to spend the night since it ends up being almost a 3 hour trip from the Tampa/Clearwater area. Located on the St. John’s River, during the summer months Blue Spring is a place to go swimming, canoeing and diving. However during the winter months any water activities in the spring itself are prohibited to protect the manatees. You can still canoe in the St. John’s River during the winter and there’s a pontoon trip you can take (more on that in a minute). You can also observe the manatees gathering in the spring from the walkway located over it. I scheduled a trip for February as that was the only time we had available as a family that might be a little chilly. I knew I had taken a risk by waiting until February because the manatees only congregate in the spring waters when the weather is cold. It is a bit of a gamble but one I was willing to take. Unfortunately my manatee gamble didn’t pay off. The weather that February day was closer to the weather in our area in May. There wasn’t a manatee to be seen. Did it ruin our trip though? Not at all! I had booked a tour on a pontoon boat with St. Johns River Cruises. Their dock is located inside the park and it seemed like a perfect opportunity to see the manatees up close. If you book be sure to get inside the park with plenty of time to spare because once the park is filled to capacity (which seems to happen quite a bit), you won’t be allowed to drive in. When we got to entrance of the park, we saw a chalkboard with a spot for how many manatees had been spotted that day in the springs. On our day there was a sad face : ( The park ranger said they hadn’t observed any at all that morning. While disappointed, we were already there and so we headed towards the docks. 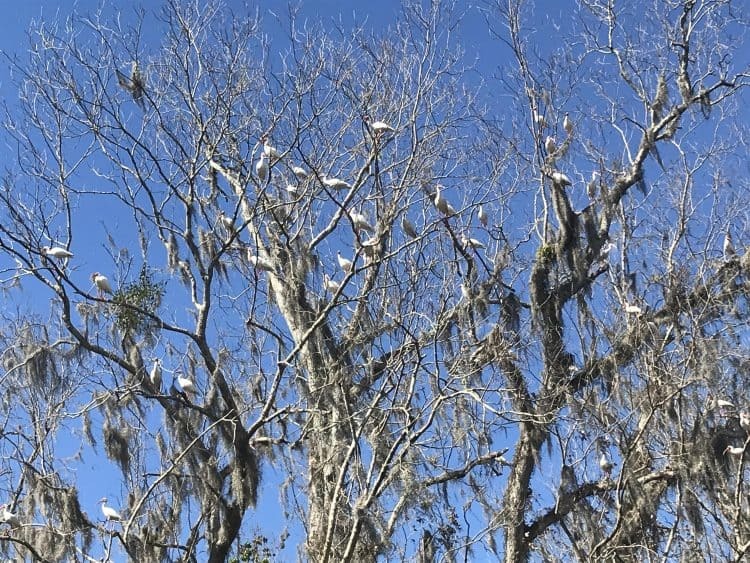 Little did I know that the 2 hour tour would be so filled with wildlife even without seeing manatees.The St. John’s River is 310 miles long and the cruise takes you through the in’s and out’s of the river in the immediate area. The captain gives a great synopsis of the history and the animals on the river. Along with the mate steering the pontoon, they spot things you would never see traveling the river by yourself. 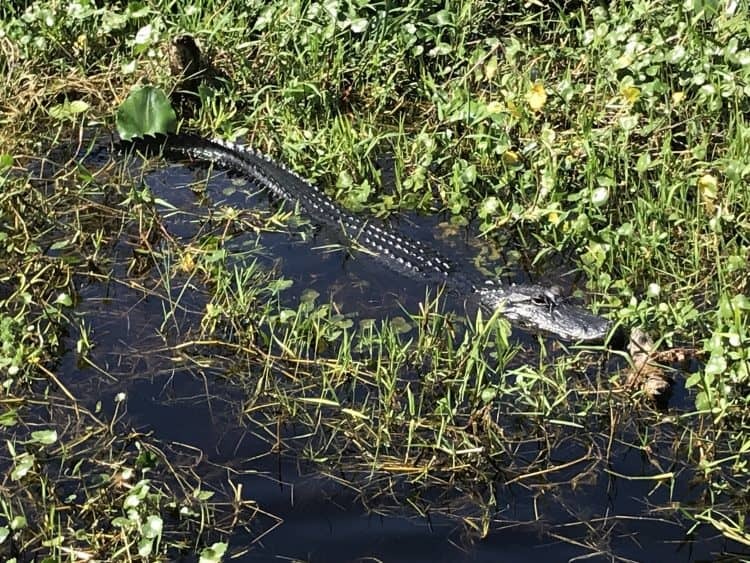 On our trip we saw multiple alligators, about 15 species of birds, lots of turtles, fish and flora and fauna native to the area. The flip side of not seeing manatees is that the weather was just perfect at about 79 degrees and no humidity – one of those times when the weather is amazing and makes you excited to live in Florida. was a fun, quick thing to do. In addition to walking trails, a small store, picnic areas and a playground, Blue Spring State Park also has camp grounds. While we have camped before, getting a camp site at a Florida State park can be hard less than 6 months out, so we chose to stay offsite at an Airbnb*. 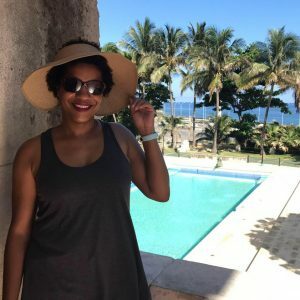 I’ve been using Airbnb since I went to Cuba and have always had a great host. We picked a place that is literally 5 minutes from the gates of the park. Located in the back of their home, this little apartment was a perfect choice for us. Our host Kathy was very helpful and stocked the small apartment with coffee, individual cereals, sodas and condiments. Usually I try to pack some items so we don’t get hungry but my days before our trip were busy and I never got a chance. Thankfully I didn’t need to because Kathy was such a gracious host! One thing we try to do on all our trips is seek out a local brewery. Florida has really blown up with the craft beer business and we like to try something new. First we headed to Odd Elixir Meadworks. Located in downtown DeLand it was a cute establishment but they had run out of their own mead and only had visiting breweries on tap. Since we live in the state, we had already tasted most of the ones they had that day so decided we’d hang out at Odd Elixir on another visit. So off we went to Persimmon Hollow Brewing Co. 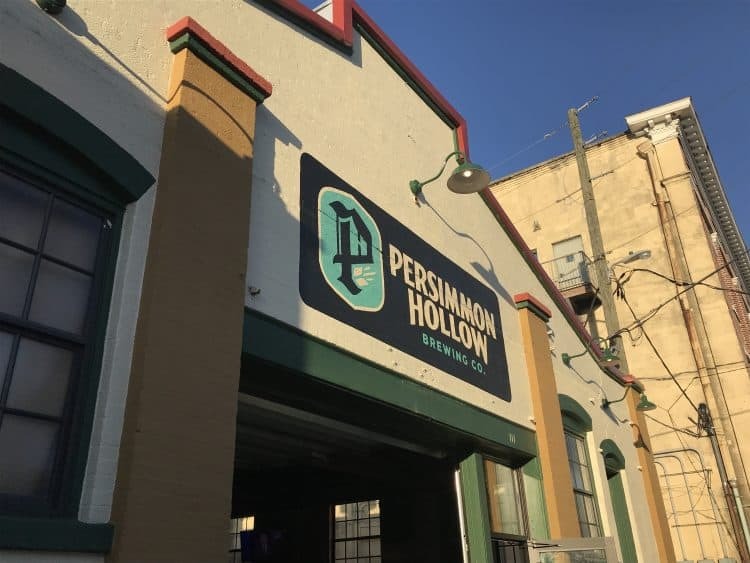 Located on a side street off the main drag, Persimmon had 8 beers on tap, not including the limited addition brews they had. Across the alleyway was Neighbors Artisan Taqueria so we got some tasty tacos (shrimp tacos with spicy aioli sauce anyone?) to enjoy while we had a flight of beers inside Persimmons. Their beer was really refreshing and the atmosphere was very family friendly. On the way out we grabbed a growler, which is always a great reusable souvenir when you travel. I would highly recommend everyone take a trip to Blue Spring State Park at some point during the year. Manatee season would be ideal but you could really visit whenever you can and still have a great time. We plan on returning soon. And I’m booking my trip for next January very soon – because I still need to see my manatees. *If you’ve never stayed with Airbnb and would like to give it a try, click on my reference link and you’ll get a $40 credit on your first adventure! Airbnb terms and conditions apply. 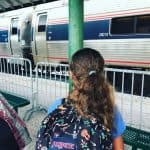 Recently my daughter and I took the Amtrak Silver Star from Tampa to Washington D.C. for a weekend visit. It was my mom’s birthday and we were all going to the National Museum of African-American History & Culture so she took the train from New York to meet us. Riding the train is a wonderful way to see the United States. Not only do you get to not have to deal with the security lines at the airport (worth the price of the ticket right there), but you have people coming and going throughout your trip and you can see the landscape pass you by. 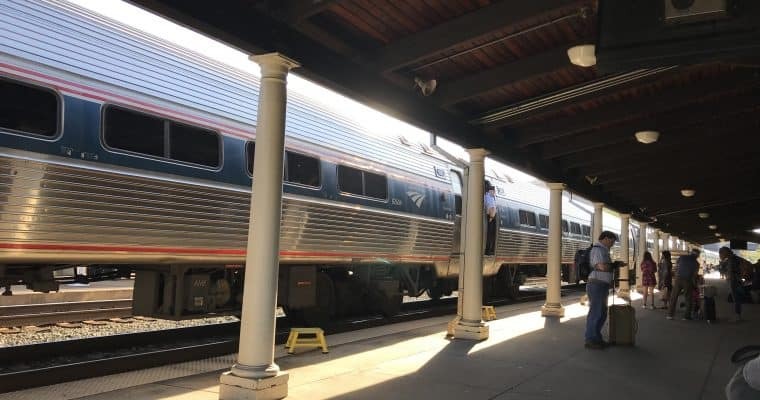 While it can be fun to ‘ride the rails’, there are some rules you need to adhere to before you go. Okay they’re not Amtrak’s rules. They’re my rules. And they’re common courtesy. So listen up and take note. I beg you! Your train mates will appreciate it, I promise! Phone Calls: Don’t talk on your cell phone for extended periods of time while sitting in your seat. And my extended periods I mean for more than 5 minutes. No one wants to hear the story of you and your friend going to the mall, losing your car, having to call security because you thought it was stolen and then hear about the meal you ate 3 days ago. If you need to make more than a 5 minute phone call go into the club car. That’s what it’s there for. And don’t me started on phone calls in the Quiet Car . . .
Cursing: I love cursing as much as the next person. The correctly placed curse word can really emphasize the point you’re trying to get across IMO. What I don’t like, and no one else does either, is to hear cursing in public settings and even worse – repeated cursing. It’s vulgar sounding. There are children, older people and even younger people who don’t want to hear it. Have courtesy for the people around you and don’t do it. Litter: Have you heard the story of how the 1960’s tv show Gilligan’s Island is a representation of the 7 Deadly Sins? It’s a pretty interesting theory, especially after you watch an episode after hearing about it. Gillian is supposed to represent ‘sloth’. He’s lazy, doesn’t care about much and wants people to rectify his mistakes and pickup after him. Well on Amtrak, the conductors are there to collect trash and clean the bathrooms but they’re not there to pick up the wrappers and cans you leave on the floor in front of your seat when you leave the train. Most times once you get off the train, someone else gets on at the same spot and takes your seat. They don’t want to sit there with trash on the floor and in the seat pocket. No one does. So don’t be Gilligan. Carry a small plastic bag to hold your trash for the ride or just get up and throw it in the trash bins at either end of the car. Sleeping: Of course you’re going to sleep on the train. Believe it or not there are some rules about sleeping in your seat. Don’t sneak into another seat and stretch out. Especially at night. People are getting on at all spots and being assigned a seat. When you’re sleeping across two chairs that aren’t yours, it’s awkward (for you) to have the conductor wake you up and tell you to move. Also don’t encroach on your seatmate’s space. About 6 years ago, my husband and I and our daughter took the train to New York. I sat with our daughter and he sat with a woman who fell asleep on his shoulder. All. Night. Long. And not in a good Lionel Richie way. On our trip to DC, two men behind us got into a verbal altercation because one kept falling asleep on the other and after asking a few times, the guy who was acting as the pillow got really mad. If you are one of those people who kind of falls over when you sleep sitting up, think about getting a small sleeper room. If you can handle sleeping mostly upright without disturbing your seatmate, Amtrak seats have plenty of leg room and recline far back without interfering with the person behind you. I take my earplugs, a small travel pillow and a face mask to help me sleep a little better. And my daughter changes into pajamas to help her get comfortable. Besides the argument that happened behind us (which the conductors quickly deescalated) we slept very well. Listening to Music/Watching Movies Without Headphones: See Phone Calls. Same general idea. No one wants to hear your favorite movie or song blasting. Cheap earbuds are available at the dollar store. Grab a pair before your trip. These rules are super simple (don’t ya think?) and boil down to common courtesy. Be respectful to the other passengers and the crew. You’ll have a more enjoyable trip! I needed a break. With work, family, some health issues and life in general working my nerves I decided a one day staycation was due. I decided to escape to St. Petersburg. 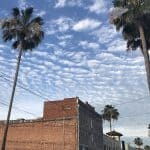 Once a sleepy town, St. Pete (as it’s known) has in the past 10 years grown in entertainment, culture and food & drink, especially in the downtown area. 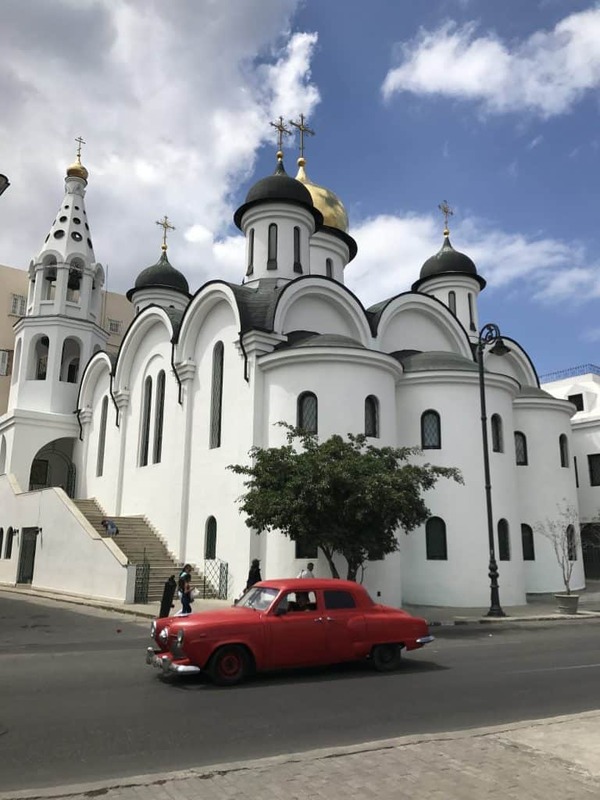 With a population of almost 260,000 St. Petersburg is a great place to find plenty to do without it being too big to navigate in a few days. My original plan was to rent a bike from Coast Bike Share which is an easy way to get around the city. I was going to ride along the waterfront and make my way to the Museum of Fine Arts, grab some lunch and visit one of the local breweries. After checking into the Airbnb where I was spending the night, tI would head back out to enjoy the evening downtown and grab some dinner before heading back to my rented room. I should have known better than to make plans in Florida during the rainy season. The weather report for the day I was headed to St. Pete said it would rain like cats and dogs. But I had made my reservation so off I went! To replace the bike riding I decided to go to Sunken Gardens. Housed on 4 acres in the middle of downtown St. Pete, Sunken Gardens has been around for over 80 years but was an attraction I hadn’t ever visited. When I lived in the area over 15 years ago I vaguely remember hearing it was slightly run down. I’m not sure how true that was but in 1999 the attraction was purchased by the City of St. Petersburg which has helped to bring it new life. I took in my umbrella, just in case, and was mesmerized how peaceful it was once you entered the gardens. There are hundreds of species of flora which makes it feel like you’re in a jungle setting. 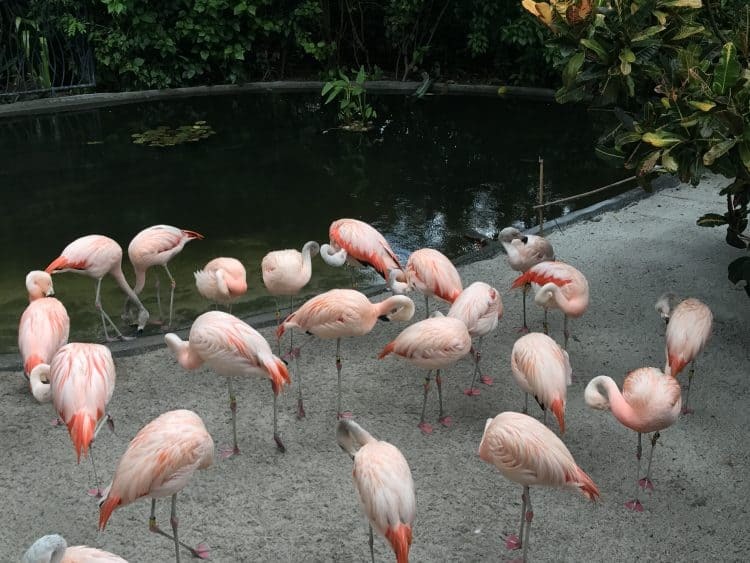 There are also parrots and flamingos who live there. About 15 minutes after I entered though it started to rain. Hard. I continued to walk since I had an umbrella but wasn’t able to enjoy it for as long as I wanted. I’ll absolutely return on a drier day so I can fully experience the beauty that is Sunken Gardens. After eating lunch I drove several blocks south and went to the St. Petersburg Museum of Fine Arts, or MOFA. They had an exhibit called Dorothy Height’s Hats that I was very interested in seeing. A civil rights icon, Dorothy Height wore hats as did other women of her era. However Ms. Height continued the tradition until her death several years ago and the elaborate hats she wore while defending civil rights were beautiful to see. Her quotes that were highlighted on the walls of the exhibit were also inspirational and encouraged me to learn more about this strong woman. After that exhibit I viewed the local contemporary art that was on display along with the museum’s collection of art and furniture throughout the ages. This museum was far larger than I imagined. The amount of artwork that was featured was incredible. While some of it wasn’t to my taste there was enough that everyone would find something that appealed to them. 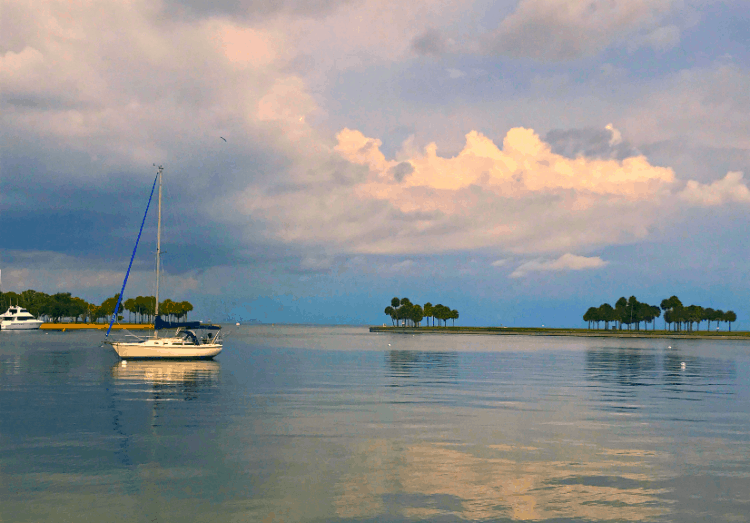 After enjoying the museum I spent some time on the waterfront enjoying the solitude. I had thought I wanted to go out that evening to have some dinner but ended up picking up sushi on the way to my apartment for the night and did some writing. It was a perfect day for me to decompress, enjoy my own company and re-energize. I love St. Petersburg and will definitely return for more adventures. It’s Easy To Get To – My flight takes the same amount of time it takes me to commute to work every day. 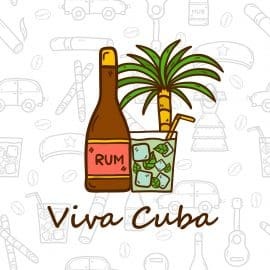 Yes, you read that correctly – the time it takes me to drive from my home to my office is the same time it takes me to take a flight to Cuba. How can I pass that up?! 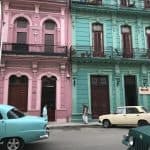 The entire process is simple and may airlines including Southwest and JetBlue fly to a variety of cities in Cuba. They Pronounce My Name Correctly! – It may not seem like a big deal, but it was fun not having anyone ask me how to pronounce my name! In the U.S. people have always asked how to say my name – in Cuba everyone said it the way it’s intended. I didn’t even notice until I got back to the States but it was just another reason for me to love Havana! 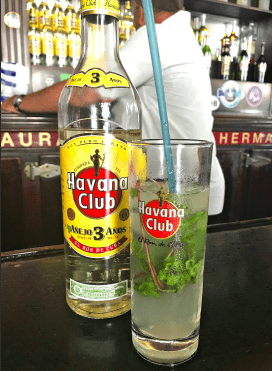 Mojitos – Reputed to have been created in Havana, you can find a mojito at any bar in Havana. Citrusy, sugary and refreshing, the mojito is perfect on a hot day. It’s also fairly inexpensive to drink while there (you can find basic ones for about $2.75), come in a variety of flavors and it’s easy to make one of your own when you get home. 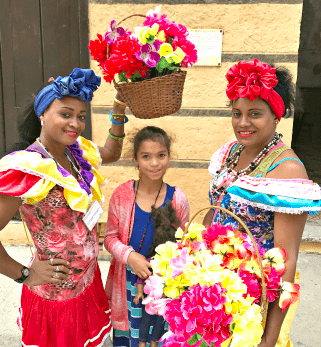 Those are just some of the reasons I love Havana – where are some places you love to travel to?